Civil rights groups, U.S. lawmakers condemn president’s latest slurs. Trump made the comments during a meeting with Republican and Democratic congressmen about immigration reform and President Obama’s Deferred Action for Childhood Arrivals (DACA) program. Civil rights groups and lawmakers on Capitol Hill condemned racially hostile comments that President Donald Trump made during a recent meeting about immigration reform with Democrats and Republicans at the White House. 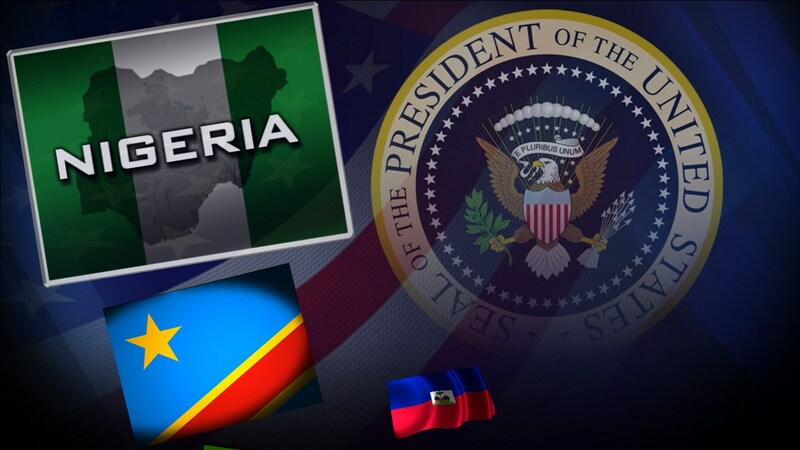 The U.S. congressmen who attended the meeting, according to The New York Times, included: Senator Lindsey Graham (R-S.C.); Senator Richard J. Durbin (D-Ill.); Rep. Kevin McCarthy (R-Calif.); Senator David Perdue (R-Ga.); Senator Tom Cotton (R-Ark. ); Representative Robert W. Goodlatte (R-Va.). Trump’s disparaging comments received quick condemnation in the civil rights community and across the political spectrum. Rep. Cedric Richmond (D-La. ), the chairman of the Congressional Black Caucus, said that President Trump’s comments are yet another confirmation of his racially insensitive and ignorant views. “It also reinforces the concerns that we hear every day, that the president’s slogan ‘Make America Great Again’ is really code for ‘Make America White Again,’” said Richmond. 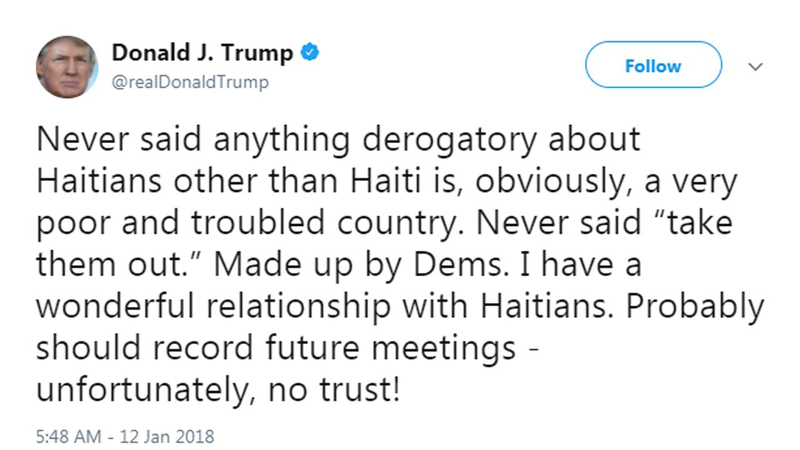 Marc Morial, the president and CEO of the National Urban League, said Trump’s crude statement regarding immigration from Haiti and African nations is appalling for its lack of compassion, and stunning for its ignorance about the contributions of Haitian and African immigrants. Rev. Al Sharpton, the president and founder of National Action Network (NAN), said that Trump’s deplorable statements while meeting with a bipartisan group of lawmakers at the White House regarding an immigration deal go beyond racial insensitivity. 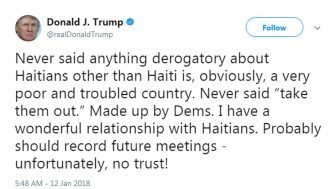 “For the President to make these remarks just after he was quoted as saying all Haitians have AIDS and Nigerians live in huts demonstrates a consistent pattern of racism and bigotry. It is further concerning that he is doing it in policy meetings that will impact laws in this country and abroad,” said Sharpton. Sharpton said that Trump’s comments were the ultimate disrespect to hundreds of communities who believe in the American Dream — the same dream of equality and justice that Dr. King had. “We will not let Trump or his administration forget these words when we vote this year or in 2020,” Sharpton said. Freddie Allen is editor-in-chief of BlackPressUSA. Our thanks to the NNPA for sharing this story with us.